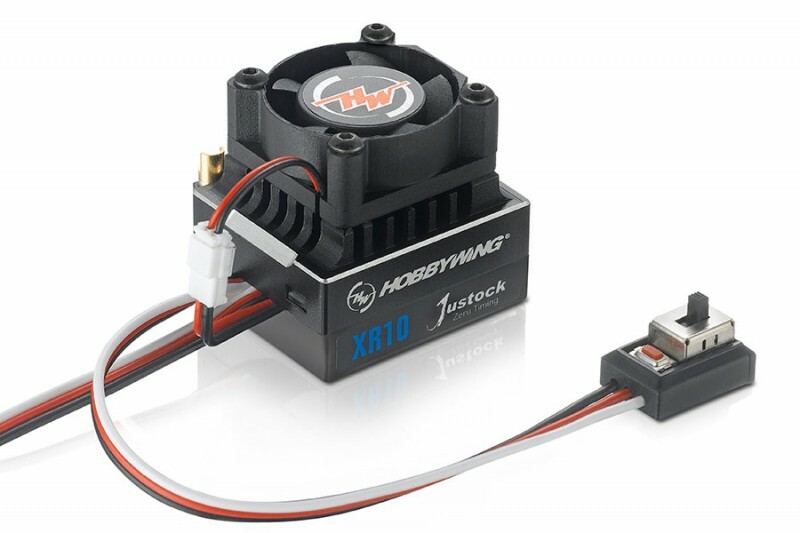 The XR10 JUSTOCK ESC is specifically designed for Zero-timing racing class. 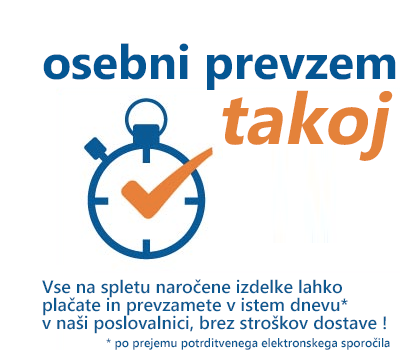 Its timing system has been permanently set to ZERO degree. Using the same branded motor and winding will ensure that every racer will have the same power system for 100% fair and competitive racing. Reliable hardware combined with advanced software technology allows the XR10 JUSTOCK to not only provide high power output, but also overload protection of the ESC circuit. The modified heatsink, which increases the surface area, combined with the HOBBYWING patented copper heat-conductive plates which are attached to the MOSFET board allows the internal heat to be quickly transferred to the heatsink for dissipation. With the high-performing detachable cooling fan, a highly reliable heat transfer system for maximum cooling is accomplished. This ESC is designed for 1/10th scale touring cars & 1/12th scale pan cars as well as the ever popular F1 series cars for all Zero-timing spec racing, example the ROAR Sportsman class. 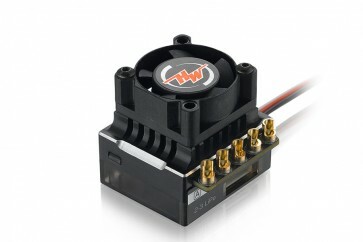 When pairing this ESC with a 32T motor it will also form a professional and ideal combo for rock crawlers.